I can't believe I'm doing two reviews of things I don't like, in a row. Sorry about that. I promise to post about something I LOVE stat! I got this ages ago as I figured for £1, you really can't go wrong if it's something you don't like. At least you haven't wasted £12.50 on the full size. 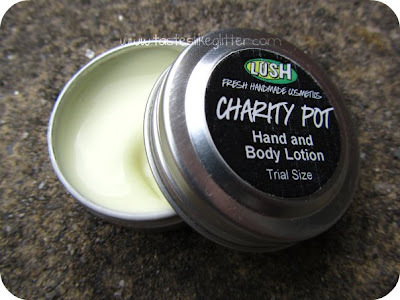 Try a trial-size sample of our Charity Pot hand and body lotion, made with softening Fairtrade organic cocoa butter and almond oil to make your skin feel lovely, and it has a scent you’ll want to sniff all day long. Every penny that you pay for it - excluding the VAT, which goes to run public services in the UK - will go into our Lush Charity Pot Fund, which is then given to the various organisations we support. First and foremost, they didn't really think the packaging through. I know it's only a sample but this is a very runny product. Every time I've opened it up, it's just gone everywhere, not fun I can assure you! Geranium oil is something that lends itself to the subtle fragrance. 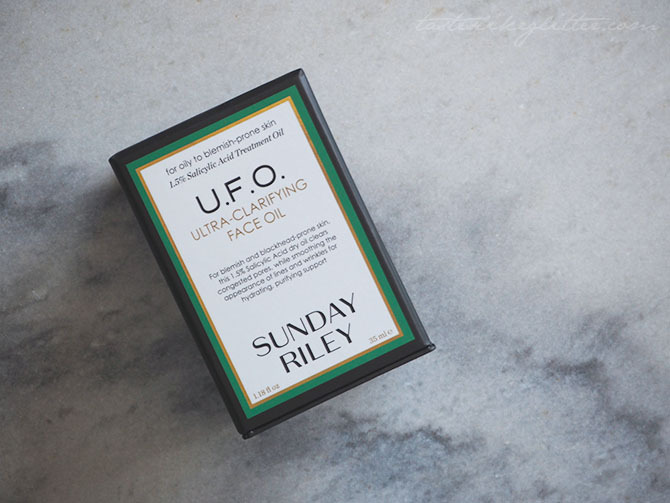 Along with Almond oil and Ylang Ylang. I dislike the fragrance. It is very subtle but it's not something I'd go for. It's quite softening and moisturising but the packaging and the scent puts me off, so now it's gathering dust in a draw. Oh well! Have you tried this? Is it something you've wanted too?